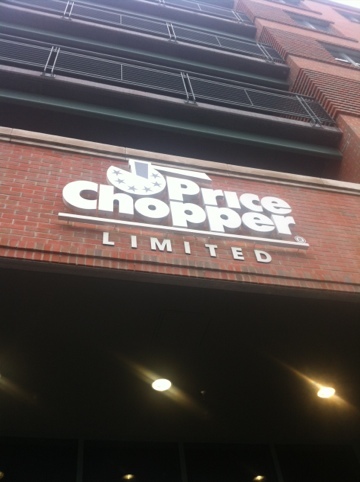 Shortcut Girl Loves: The New Price Chopper Limited!!! Last night I went to our local market– when I say local, I mean two blocks away. If you are like me and LOVE Trader Joe’s or if you were Central New York born and raised and love Wegmans, then you will sure love this “lite” version of Price Chopper- Golub calls it Price Chopper Limited. Ooooo. How regal. This is a HUGE step up for the West side of Saratoga (which is where I live– if you saw me, I would be flashing a gang symbol right now). The Price Chopper that used to stand where this building is now located was not-so-affectionately called “Ghetto Chopper.” So, if you have put two and two together, I have just admitted that I actually live in the ghetto. Or used to. Yes, it’s true. I originally planned to take the kids there on a little field trip but it was raining, so I stopped in on my way home solo (a special treat- shopping by yourself!) to pick up some stuff for dinner. I saw no less than four former students of mine working there and was ever so impressed by the personal service and attention you got at every turn. Workers were going around straightening shelves and offering help finding items- it was like I had been beamed to some New York City fancy schmancy neighborhood for a minute. It feels like a city market- small carts, low shelves, high ceilings. The floors were not your typical grocery-store-tile-white and there were not displays with eye-catching (I’m so distract-able) prices blocking the aisles. It felt quaint, sweet, hometowney. I was in love. If you are like me (lazy and forgetful- a bad combination), your biggest pet peeve is when you get all the way to the dairy section on your marathon of a shopping trip and realize you forgot something in produce. In Price Chopper Limited, that is no proble m at all- just take the little hop, skip and jump back over! My favorite PC Limited feature is the cup holder. Our bigger PC tried this but for Moms it’s annoying, your child can reach the drink and keeps trying to open it. 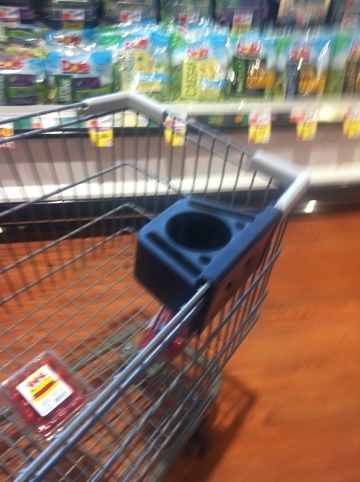 This one, as pictured is featured in the basket, far away from grabby hands. Now my husband’s worry is that smaller and limited might mean less variety and more expense. I have no idea about prices but I do know for all the basics, they still have their generic Price Chopper brand there for you to buy, so the cheapest item is always available. 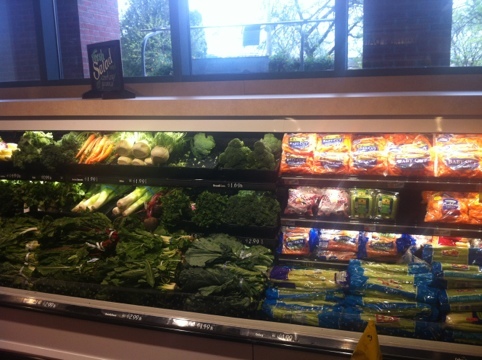 The variety is typically the more “botique-y” foods- organic, all natural, etc. but I would say some of your run of the mill favorites are always there as well. I would anticipate more sales at PC Limited because they have less room and have to move their inventory in order to keep the space they need. Like, I saw bread for buy one get two free. I also got three pints of grape tomatoes (as seen in the cart) for $5, which, since I have become obsessed with grape tomatoes as of late, this was an amazing deal to me. And for captital district readers– we’re going to get our Trader Joe’s soon I hear!!! Not local enough, but it’s a stepping stone! And for Saratoga folks, the Vermont version of Whole Foods, Healthy Living Market is coming soon to the old JC Penney’s at the mall. 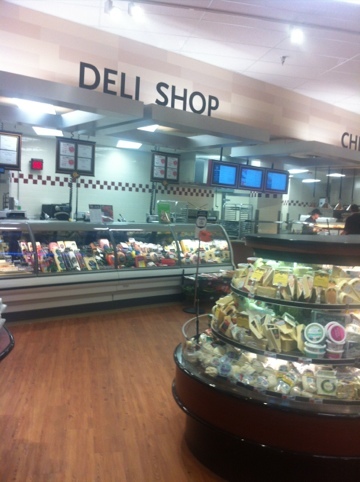 New grocery stores excite me. Small ones especially. How else can you shortcut a grocery trip and still get all you want?